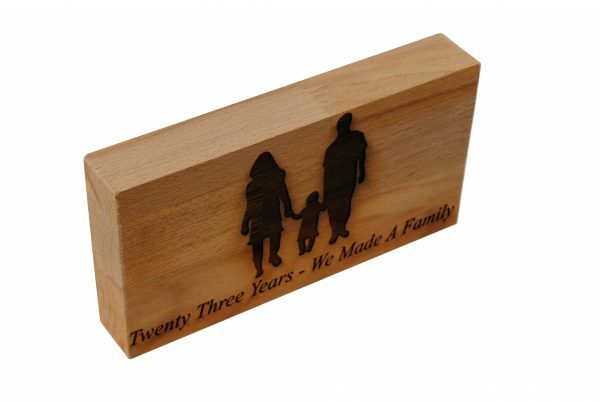 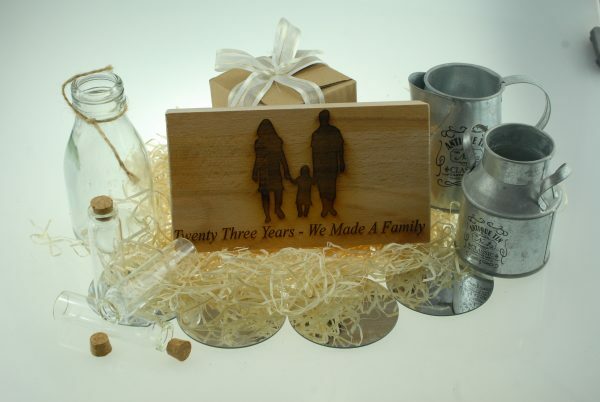 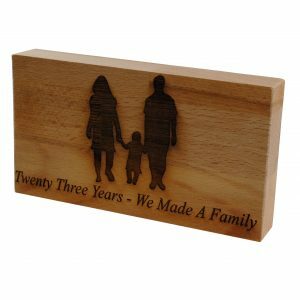 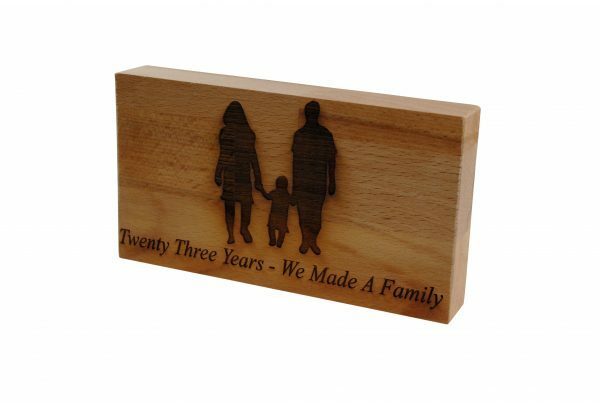 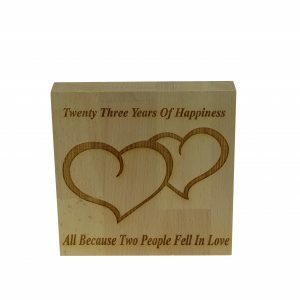 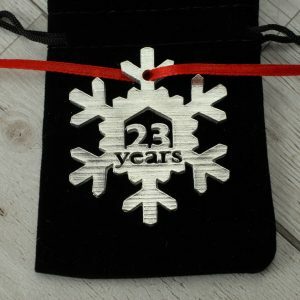 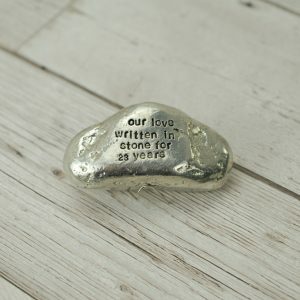 Mark your 23rd Anniversary with our “23 Years, We Made A Family” beech block. 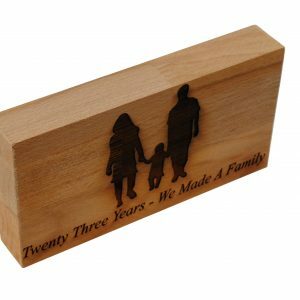 This block can be personalised to you be as unique as your family, just add a comment letting us know how many of the adults and children you would like and what gender. 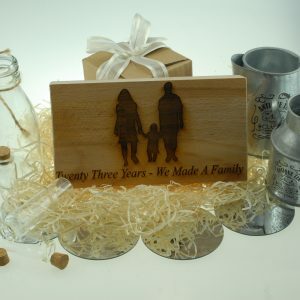 Also available as a white wooden frame. 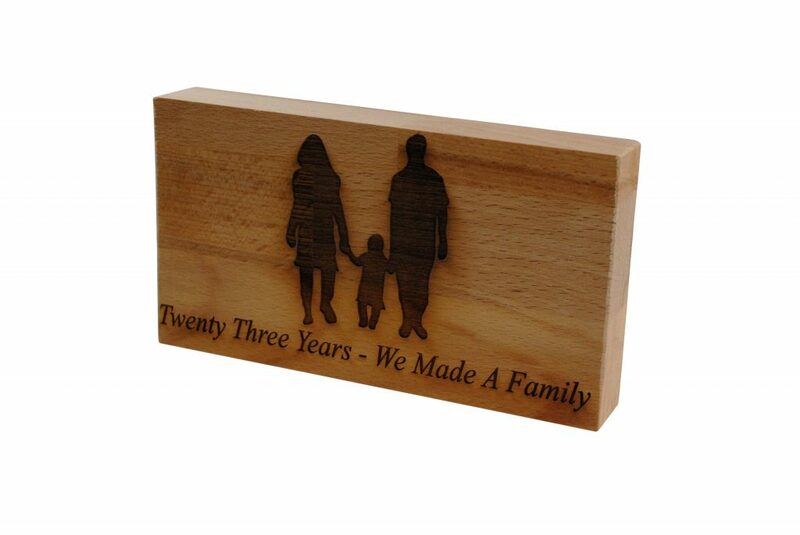 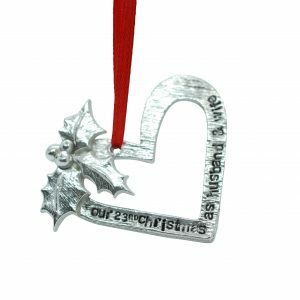 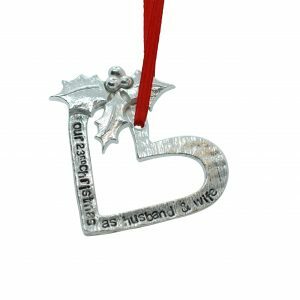 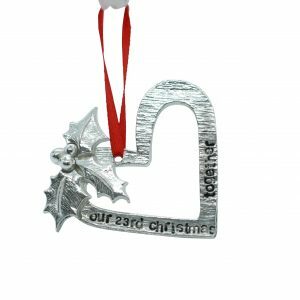 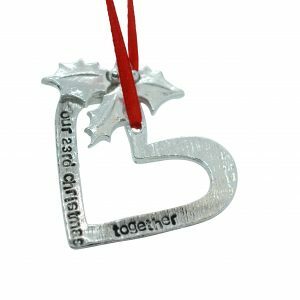 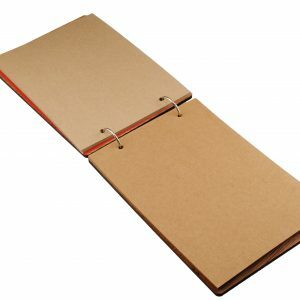 Our free standing ornament is 200mm x 100mm x 27mm. 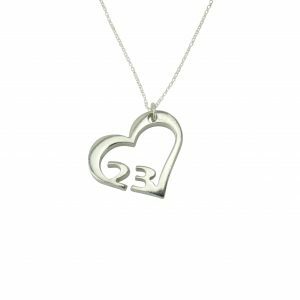 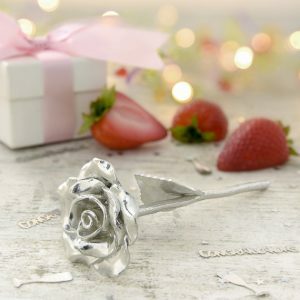 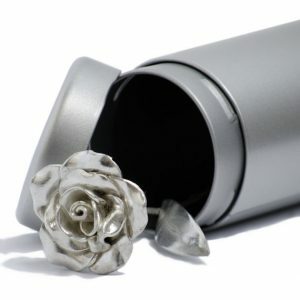 Treat her this anniversary with a stunning tin necklace.